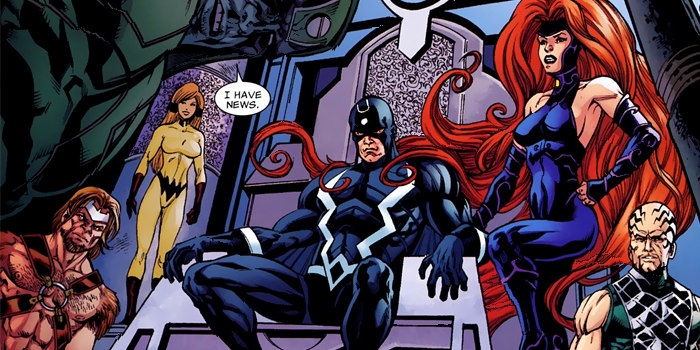 Marvel Television has announced the first season of an Inhumans TV series from Marvel, ABC and IMAX (yes that IMAX). Marvel’s the Inhumans will be released as a full series on ABC with the first two episodes to be packaged as a “movie” exclusive for IMAX theaters. Under the agreement, a version of the first two episodes of Marvel Television’s new series “Marvel’s The Inhumans”–produced in conjunction with ABC Studios and filmed entirely with IMAX digital cameras–will run worldwide exclusively in IMAX for two weeks at the beginning of September 2017. ABC plans to then premiere the weekly series in fall, with additional exclusive content that can only be seen on the network. Aside from the TV series, the trio also aims to create materials and merchandising across the board. So expect tons of new posters, games and hopefully even toys featuring the likeness of King Blackbolt, Gorgon, Medusa, Karnak, Crystal and Lockjaw. This unprecedented alliance represents a bold, innovative approach to launching great TV content for a worldwide audience. It highlights Disney|ABC’s unrelenting commitment to finding new and creative ways to showcasing our very best programming and increasing global engagement and reach. This first-of-its-kind multi-platform production, distribution and marketing agreement brings together Marvel Television’s unique brand of entertainment, ABC’s unparalleled audience and IMAX’s brand and global fanboy demographic. It also takes our decades-long relationship with The Walt Disney Company to a whole new level, jointly breaking new ground in the industry. We are confident our exhibition partners will be excited to work with us on this innovative launch of a series across the IMAX network. We’ve already seen glimpses of the Inhumans throughout Marvel’s ABC-verse, heck Daisy Johnson (Chloe Bennet) IS an Inhuman named Quake for chrissakes.